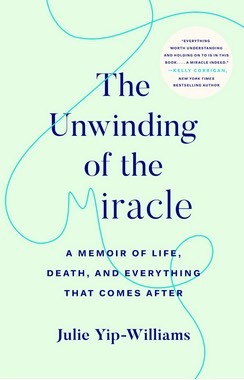 When we meet Julie Yip-Williams at the beginning of “The Unwinding of the Miracle,” her eloquent, gutting and at times disarmingly funny memoir, she has already died, having succumbed to colon cancer in March 2018 at the age of 42, leaving behind her husband and two young daughters. And so she joins the recent spate of debuts from dead authors, including Paul Kalanithi and Nina Riggs, who also documented their early demises. We might be tempted to assume that these books were written mostly for the writers themselves, as a way to make sense of a frightening diagnosis and uncertain future; or for their families, as a legacy of sorts, in order to be known more fully while alive and kept in mind once they were gone. By dint of being published, though, they were also written for us — strangers looking in from the outside. From our seemingly safe vantage point, we’re granted the privilege of witnessing a life-altering experience while knowing that we have the luxury of time. We can set the book down and mindlessly scroll through Twitter, defer our dreams for another year or worry about repairing a rift later, because our paths are different. Before her diagnosis in 2013, Yip-Williams had done more than her share of living. 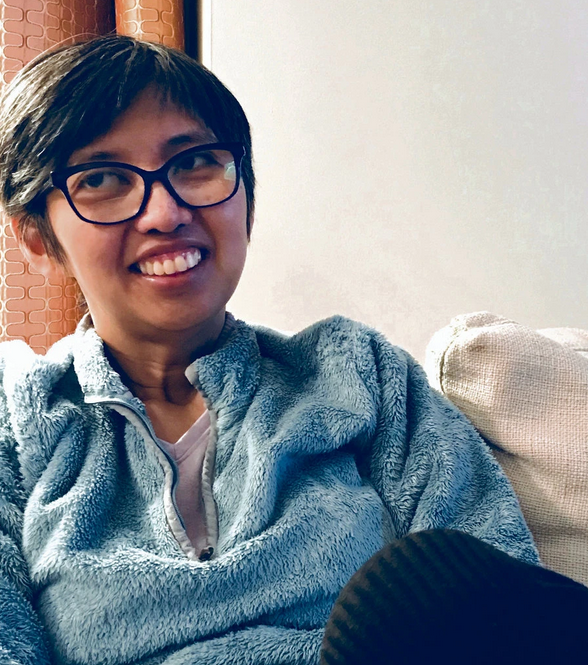 It was, indeed, something of a miracle that she was alive at age 37 when she traveled to a family wedding and ended up in the hospital where she received her cancer diagnosis. Born poor and blind to Chinese parents in postwar Vietnam, she was sentenced to death by her paternal grandmother, who believed that her disability would bring shame to the family and render her an unmarriageable burden. But when her parents brought her to an herbalist and asked him to euthanize her, he refused. The family would eventually survive a dangerous escape on a sinking boat to Hong Kong, and less than a year later make their way to the United States, where at 4 years old, Yip-Williams had a surgery that granted her some vision, if not enough to drive or read a menu without a magnifying glass. She would go on to defy her family’s expectations, eventually graduating from Harvard Law School, traveling the world solo and working at a prestigious law firm where she meets Josh, the love of her life. She becomes a mother and, soon after, a cancer patient, and soon after that, because of this unfortunate circumstance, a magnificent writer. During the five years from her diagnosis to her death, we enter her world in the most intimate way as she cycles through Elisabeth Kübler-Ross’s famous stages of grieving: denial, anger, bargaining, depression and acceptance. Describing the ways in which terminally ill patients cope with their own deaths, these stages weren’t meant to delineate a neat sequential progression but rather the various emotional states a dying person might visit, leave and visit again. Yip-Williams toggles between optimism and despair, between believing she’ll defy the statistics as she had so many times in her life — “odds are not prophecy” — and trying to persuade her husband to confront their harrowing reality. She makes bargains with God, just as she did as a young girl when, in exchange for her poor vision, she asked for a soul mate one day. (“God accepted my deal!”) She posts pictures of contented normalcy on Facebook — of meals cooked, a car purchased — but rages at her husband, healthy people, the universe and, silently, at the moms at a birthday party who ask how she’s doing. “Oh, fine. Just hanging in there,” she replies, while wanting to scream: “I didn’t deserve this! My children didn’t deserve this!” She frets about the “Slutty Second Wife” her husband will one day marry and the pain her daughters will experience in her absence. And, near the end, she oscillates between being game to try every possible treatment and accepting that nothing will keep her alive. 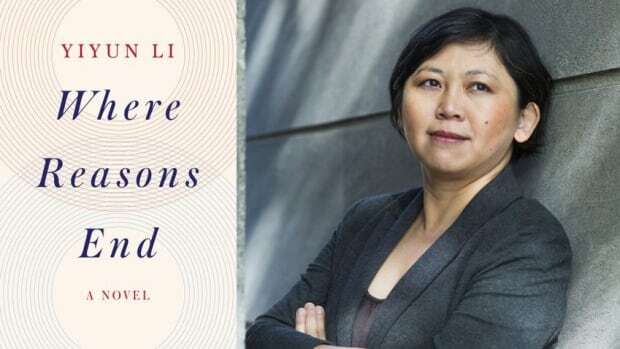 This memoir is so many things — a triumphant tale of a blind immigrant, a remarkable philosophical treatise and a call to arms to pay attention to the limited time we have on this earth. But at its core, it’s an exquisitely moving portrait of the daily stuff of life: family secrets and family ties, marriage and its limitlessness and limitations, wild and unbounded parental love and, ultimately, the graceful recognition of what we can’t — and can — control. “We control the effort we have put into living,” Yip-Williams writes, and the effort she has put into it is palpable. Of all the reasons we’re drawn to these memoirs, perhaps we read them most for this: They remind us to put in our own effort. It would be nearly impossible to read this book and not take her exhortation seriously. Librarian Marissa Lamer has come to appreciate the powerful messages that can be relayed in graphic novels. Can’t We Talk About Something More Pleasant? 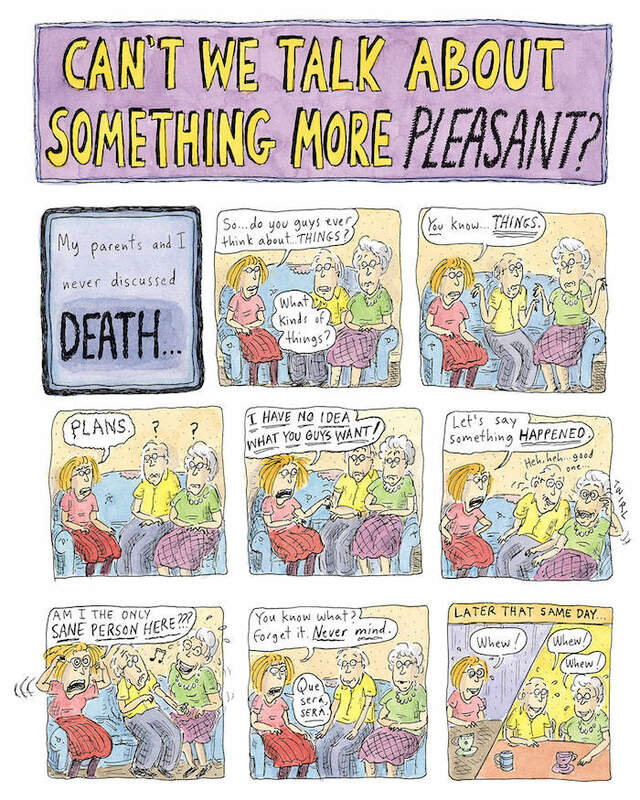 by Roz Chast is a compelling graphic memoir about the struggle Chast goes through as she watches her parents age and eventually die. Although I have seen my parents grieve the loss of three of my grandparents, I have not yet experienced that kind of loss firsthand. And it’s definitely not an experience my parents felt necessary to discuss with me or vice versa. People don’t talk about death and dying in our culture, even though it affects every single person at some point in their lives. However, Chast’s memoir broached the subject in such an endearing and accessible way that it got me thinking: what is it about graphic memoirs that make addressing such difficult, even taboo topics more approachable than a traditional novel? Hello, this is Marissa Lamer for the Radio Readers Book Club and I am coming to you from the public library in Hays, KS. Growing up I was rarely exposed to any type of graphic novels and comics. As I worked my way through college towards a career as a librarian, graphic novels became a genre of literature that grew increasingly intriguing, especially ones that were memoirs and nonfiction. I hesitantly started with a small graphic novel every now and then but have slowly come to truly enjoy and appreciate the value they add to reading. The illustrations provide context and a visual for the parts of Chast’s story that are the most emotional and difficult to express in words. 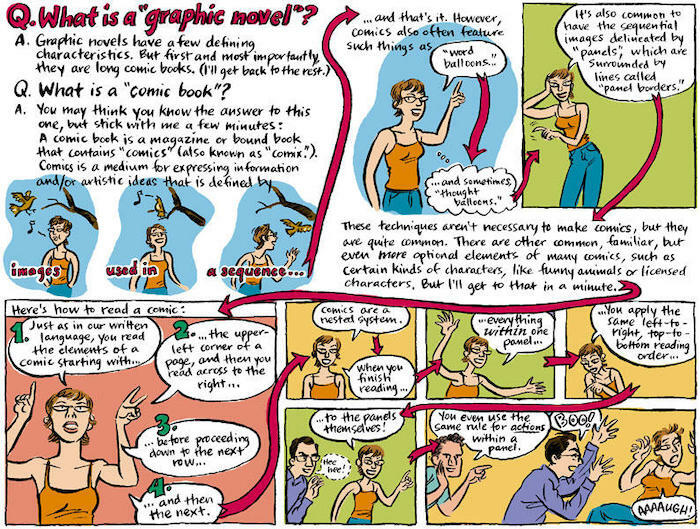 Graphic memoirs like Chast’s make tough topics more accessible. They provide an abundance of extra layers in the writing style, illustrations, and format of the book that a traditionally written memoir cannot provide. Using visuals along with text can provide greater insight into the human condition and subjects that are tough to talk about or lay outside our cultural spheres. Can’t We Talk About Something More Pleasant? is just the tip of the iceberg when it comes to graphic novels exploring thought-provoking subjects. Here are a few to add to your reading list: Maus by Art Spiegelman is a two-volume, Pulitzer-Prize-winning graphic novel. The only graphic novel to be awarded such an honor. Animal characters are used to stereotype different races and nationalities illustrating the story of Spiegelman’s parents surviving the Holocaust and his relationship with his father. 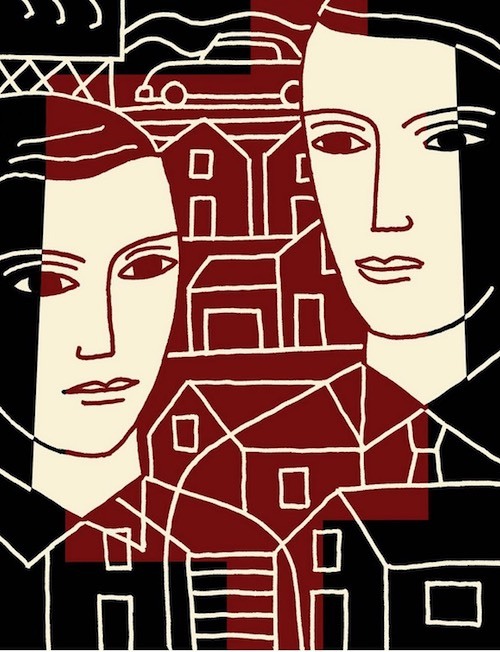 Persepolis by Marjane Satrapi is another two-volume memoir of a girl growing up in Iran during the Islamic Revolution. It paints a vivid portrayal of life in Iran during a turbulent time through the eyes of a child. The March trilogy by John Lewis and Andrew Aydin has won multiple awards and chronicles Lewis’ thoughts, feelings, and experiences throughout the Civil Rights Movement. The illustrator uses emotional black-and-white imagery which captures the raw emotion of people portrayed during this pivotal time in history. Once again, this is Marissa Lamer coming to you from Hays for the Radio Readers Book Club. I hope you have enjoyed reading Can’t We Talk About Something More Pleasant? and the next time you are deciding what to read, you consider adding a graphic memoir to the list. With more Americans living longer and aging in place, more also want to die at home. Karen Clayton of Oak Harbor believes more terminally-ill individuals and their caregivers might choose home end-of-life care if they knew more about the physical and emotional support provided by hospice services. 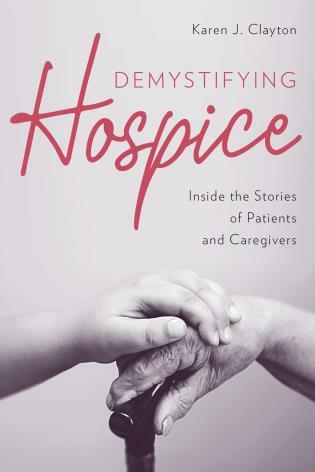 Clayton’s just-released book, Demystifying Hospice: Inside the Stories of Patients and Caregivers, is based on years of experience working as a social worker in public and private hospitals, a hospice, and with the American Cancer Society. She plans to discuss her book and the topic of hospice care at a series of presentations and workshops around Whidbey Island this fall. 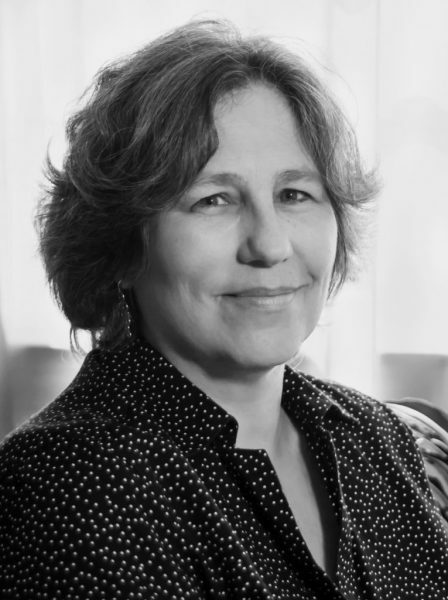 Clayton describes herself as a hospice social worker, sociologist, author and a story catcher. Studies have shown that approximately 80% of Americans would prefer to die at home, if possible. Despite this, 60% of Americans die in acute care hospitals, 20% in nursing homes and only 20% at home. According to the National Hospice Foundation, many people at the end-of-life are being referred to hospice care too late or not at all. Many Americans don’t realize hospice care is a benefit of Medicare, Medicaid, VA benefits, and many other insurance plans, Clayton said. Additionally, hospice organizations can help those with no insurance. Home hospice services consist of a team of professionals who regularly visit patients at home and are available 24 hours a day. Nurses, social workers, chaplains and nurse aides comprise the main team and some services also provide massage therapists, even instrumentalists, such as harpists, to play soothing music. Hospice services also supplies medication and delivers equipment, such as hospital beds, wheelchairs and personal hygiene items. Clayton’s book doesn’t focus on medical problems but rather the emotional and practical help given by socials workers to patients, caregivers and families. She also provides caregiving tips and suggests ways to connect with people in their final days. Clayton’s book describes the hope, healing and support that home hospice care offers. 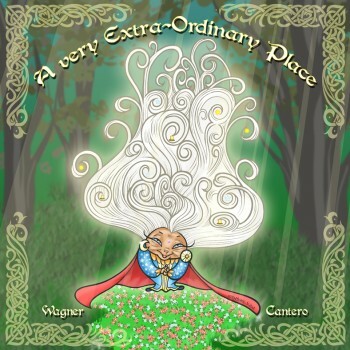 Each story addresses some aspect of helping families through the caregiving and grieving process and it offers comfort and understanding to readers who may be going through similar experiences. Why is anticipatory grief so powerful? Although everyone experiences anticipatory grief—a feeling of loss before a death or dreaded event occurs—some have never heard of the term. I didn’t understand the power of anticipatory grief until I became my mother’s family caregiver. My mother suffered a series of mini strokes and, according to her physician, they equaled Alzheimer’s disease. I cared for my mother for nine years and felt like she was dying right before my eyes. To help myself, I began to study anticipatory grief. While I cared for my mother I wrote a book on the topic. Writing a book parallel to my mother’s life was an unusual experience. Later, Dr. Lois Krahn, a Mayo Clinic psychiatrist, helped me with the final version. Our book, Smiling Through Your Tears: Anticipating Grief , was published in 2005. Writing the book made me aware of the power of anticipatory grief and I went on AG alert. I had severe anticipatory grief when my husband’s aorta dissected in 2013. My husband was literally bleeding to death. Surgeons operated on him three times in a desperate attempt to stop the bleeding. Every time he went to surgery I thought it would be the last time I would see him. My grief was so intense I began to plan his memorial service. 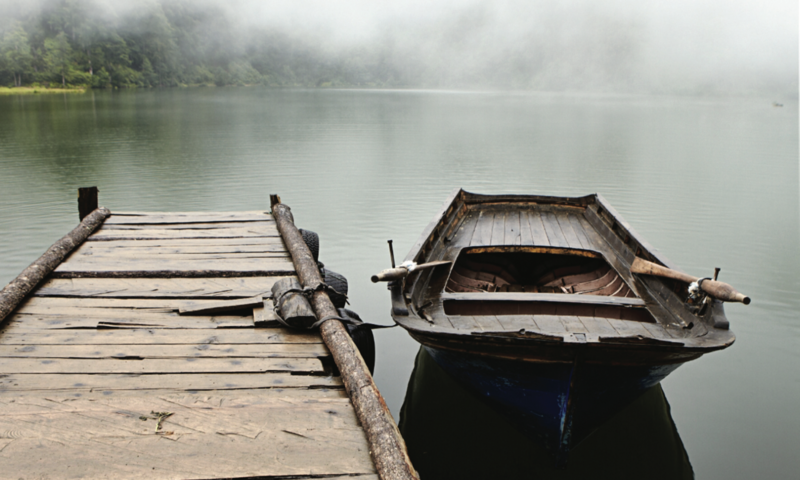 Although you realize you’re experiencing anticipatory grief, you may not understand its power. Here are some of the sources of that power. Your thoughts jump around. You think about the past, the present, and a future without your loved one. These conflicting thoughts can make you worry about yourself. Friends may notice your distraction and think you have some sort of psychological problem. You don’t have a problem; you are grieving. Every day is a day of uncompleted loss. If you are a long-term caregiver as I was, you wonder if your grief will ever end. Worse, you may wonder if you will survive such intense feelings. You may start to feel like anticipatory grief is tearing you apart. The time factor can grind you down. Since you don’t know when the end will come, you are on constant alert. Friends may not understand your feelings and wonder why you’re grieving if nobody has died. 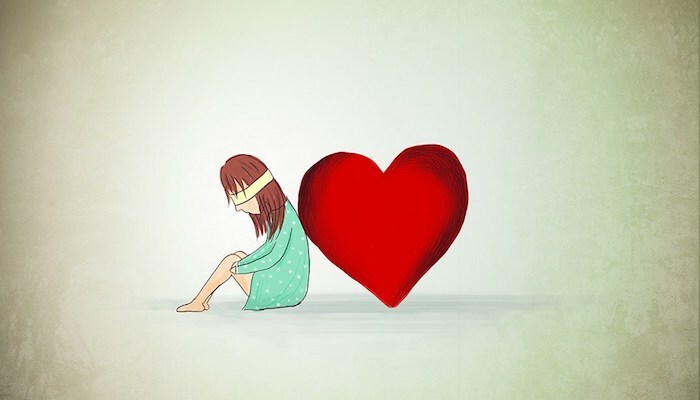 Explaining your feelings to others is hard because you can hardly track them yourself. Suspense and fear are part of your life. Because you fear others won’t understand, you keep your feelings to yourself. Grief experts call this “stuffing feelings” and you may feel stuffed with worry, insecurity, and sadness. Uncertainty seems to rule your life. Anticipatory grief can become complex. Grief expert Therese A. Rando, PhD, author of the article, “Anticipatory Grief: The Term is a Misnomer but the Phenomenon Exists,” says anticipatory grief imposes limits on your life. That’s bad enough, but as time passes, your anticipatory grief keeps expanding. “I’m tired of waiting for my mother to die,” a friend of mine admitted. I understood her feelings. Lack of an endpoint. Although you may think you know when your loved one’s life will come to a close, you aren’t really sure. Waiting for the end can put your life on hold, sap your strength, and prolong anticipatory grief. You feel sorrow and hope at the same time. Hope may be the most unique aspect of anticipatory grief. While you’re grieving you hope a new drug will be invented, new surgery will be developed, or your loved one will experience a miraculous turn-around. Hope can keep you going. Understanding anticipatory grief can keep you going too. Joining The Caregiver Space Facebook groups can be a source of support and hope. Remember, you are not alone. You are in the company of thousands of other caregivers, and we can help each other. Book reviewers, I’m afraid, have played their part. Of course, many of these books are brave, and many quite beautiful. Cory Taylor’s account of her terminal cancer, “Dying: A Memoir,” is one recent standout. But so many others are possessed of a dreadful, unremarked upon sameness, and an unremitting nobility that can leave this reader feeling a bit mutinous. It’s very well to quail in front of the indomitable human spirit and all that, but is it wrong to crave some variety? I would very much like to read about a cowardly death, or one with some panache. I accept, grudgingly, that we must die (I don’t, really) but must we all do it exactly the same way? 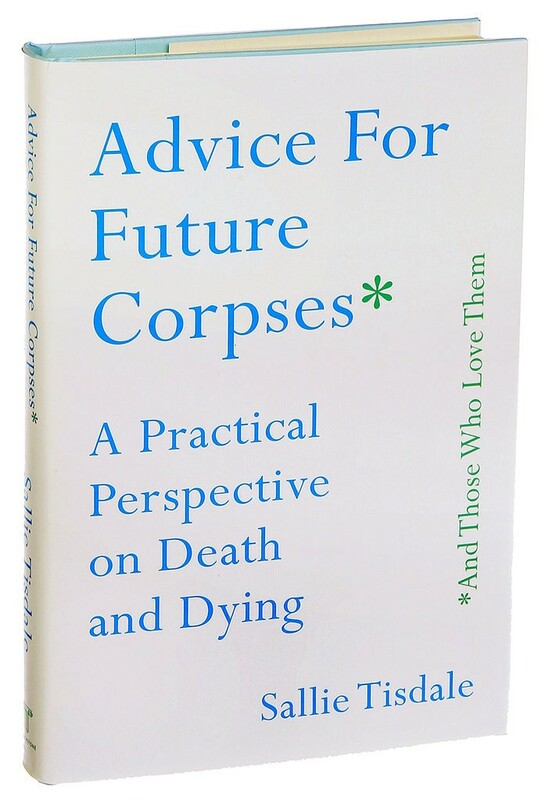 Enter “Advice for Future Corpses (and Those Who Love Them),” by the writer, palliative-care nurse and Zen Buddhist Sallie Tisdale — a wild and brilliantly deceptive book. 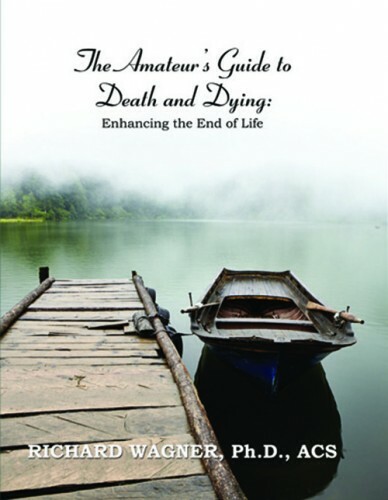 It is a putative guide to what happens to the body as it dies and directly after — and how to care for it. How to touch someone who is dying. (“Skin can become paper-thin, and it can tear like paper. Pressure is dangerous.”) How to carry a body and wash it. How to remove its dentures. It should be noted that this book is not for the queasy. Frankly, neither is dying. Tisdale writes calm but explicit descriptions of “the faint leathery smell” of dead bodies and the process of decomposition. “A dead body is alive in a new way, a busy place full of activity,” she writes. She offers paeans to the insects that arrive in stately waves to consume the body — from the blowflies that appear in the first few minutes of death to the cheese skippers, the final guests, which clean the bones of the last bits of tendon and tissue. This is death viewed with rare familiarity, even warmth: “I saw a gerontologist I know stand by the bedside of an old woman and say with a cheerleader’s enthusiasm, ‘C’mon, Margaret. You can do it!’” Tisdale writes. She walks readers through every conceivable decision they will have to make — whether to die in the hospital or at home, how to handle morphine’s side effects and how to breathe when it becomes difficult (inhale through pursed lips). “Advice for Future Corpses” also offers a brisk cultural history of death rituals and rites, from traditional Tibetan sky burials to our present abundance of options. You can have your ashes mixed into fireworks, loaded into shotgun shells or pressed into a diamond. You can ask to be buried at sea (but don’t — too much paperwork). You can be buried in a suit lined with micro-organisms and mushrooms to speed decomposition, or let a Swedish company cryogenically freeze your remains and turn them into crystals. If you’re in Hong Kong or Japan, you have the option of virtual graves, where flowers can be sent by emoticon. 272 pp. Ecco/HarperCollins Publishers. $25.99. [J]esse Ball is one of our most prolific experimentalists. His last few novels, starting with the excellent “Silence Once Begun,” demonstrate a mature style that feels less like an experiment than a means to communicate deep emotional truths without the clutter of too many narrative conventions. In “Census,” a father and son journey across a nameless, dystopian land. The father, a recent widower and retired doctor, has just received news that he is dying. Both he and his wife had always meant to travel, but because their son was born with Down syndrome, they talked themselves out of it. The cruelty of others kept them from the road: “Ever since he was born, our lives, my wife’s, mine, bent around him like a shield.” Now, with his wife passed on, his son grown and his own end very near, he devises a plan to become a census taker, which will take him and his adult son on a cross-country road trip. The census itself is part of the novel’s central mystery. It is both a survey of the population and an existential measurement. The father explains, “I must, in speaking to a person, know what is special about that individual, and that data must pass through me … in such a way that what is … most special about the nation … could be known and felt.” He asks participants to tell their own unique stories, after which they are marked — tattooed — on a rib, proof that they have been tallied. 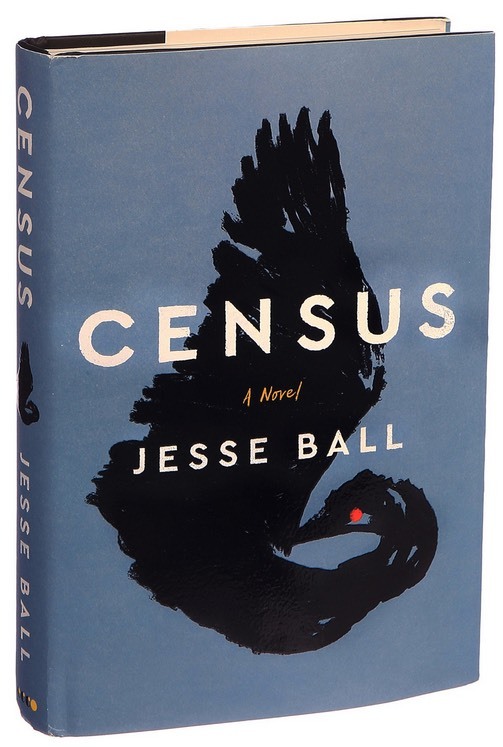 While the census may sound like an Orwellian device, Ball is more concerned with his characters’ emotional lives than with authoritarian foreboding. The father and son move from region to region, entering strangers’ homes, administering the census. 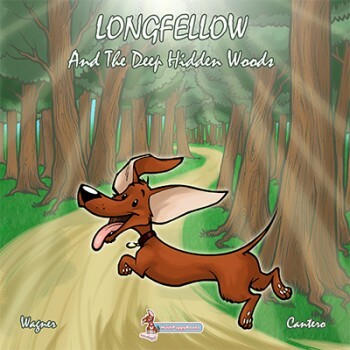 With each new encounter a story from the narrator’s life is revealed. The best of these recall him falling in love with his wife, a renowned clown and performance artist who is also one of the novel’s most dynamic characters. In one lovely scene, prompted by his encounter with two eccentric sisters who conjure the Beales of “Grey Gardens,” the narrator remembers a performance in which giant pieces of silverware, a knife and fork, hovered overhead as his wife and other clowns evaded them. In a novel that ruminates so heavily on death, such memories provide a celebratory sense of joy. While Ball accomplishes the stated goal of his preface, bringing the son with Down syndrome to life, the census itself leaves a little to be desired. If the narrator aims to hear each citizen’s story, that which is “most particular, most special,” he never shares enough details to make a lasting impression. This creates a kind of flatline with regard to the central conceit. Without more of the particulars, “the small, the overlooked,” it’s hard to understand what the census is meant to measure. Yet the spare and episodic encounters do take us to some tender places. In one scene, a mother who raised a girl with Down syndrome recognizes the narrator as someone who sees what she sees in their children: “They experience the world just as we do, maybe even in a clearer light.” More than a dystopian tale, “Census” is a profound and stirring meditation on love, loss and paternity.